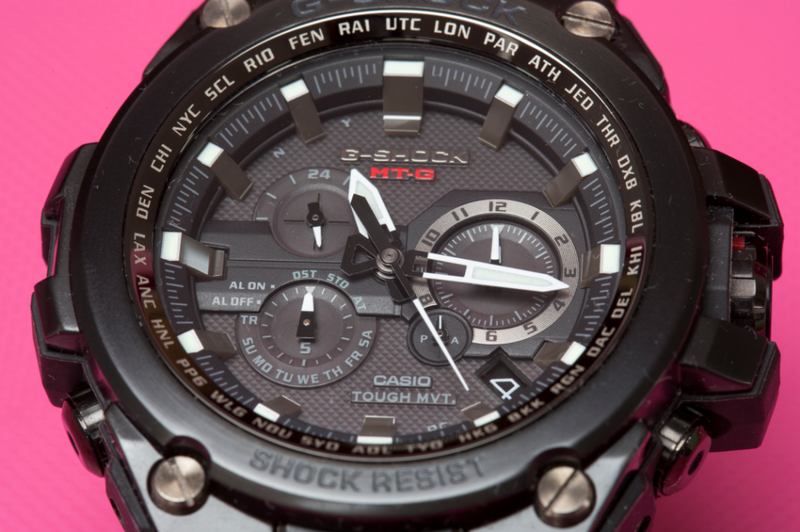 The original Triple-Sensor sensation from Casio's G-Shock. 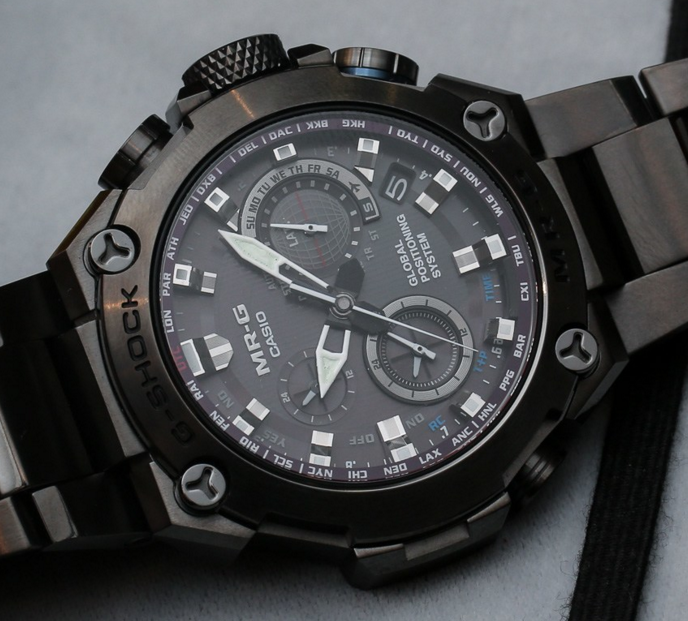 The perfect choice for any outdoor enthusiast. 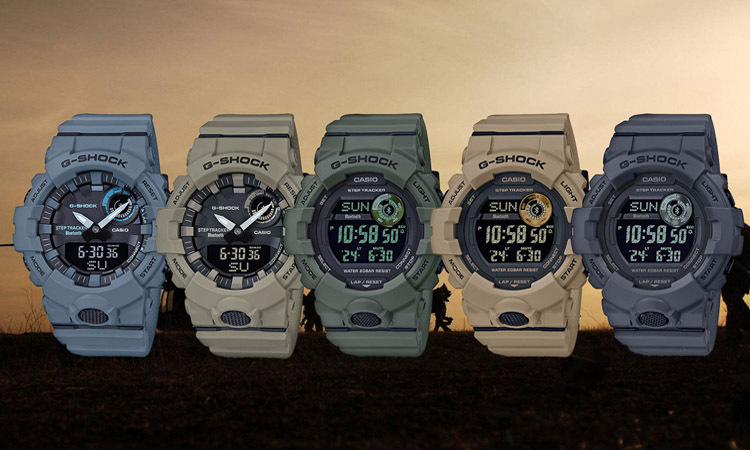 Incredible amount of sensors that will satisfy even the most picky outdoors person’s needs. 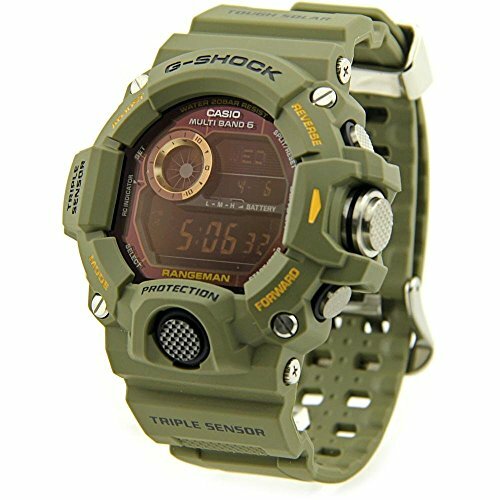 Great design, very tough and resistant to all sorts of shocks and bad treatments. 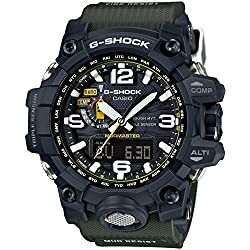 All around good watch for the money. 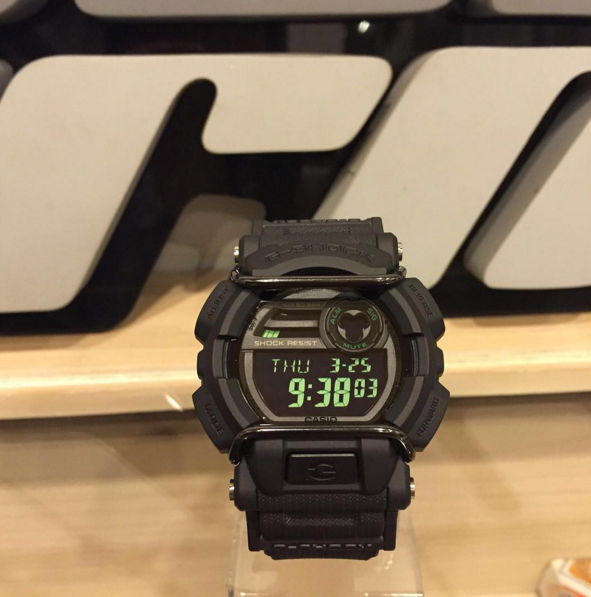 Bigger than expected for some people, but this is a well-known thing in the G-Shock world. 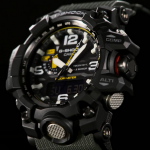 Generally speaking the „Master of G” G-Shock series from Casio was created to withstand the bad treatments resulted from the active life of outdoors people like military, survivalists, hikers, hunters, campers, climbers, bikers and much more. 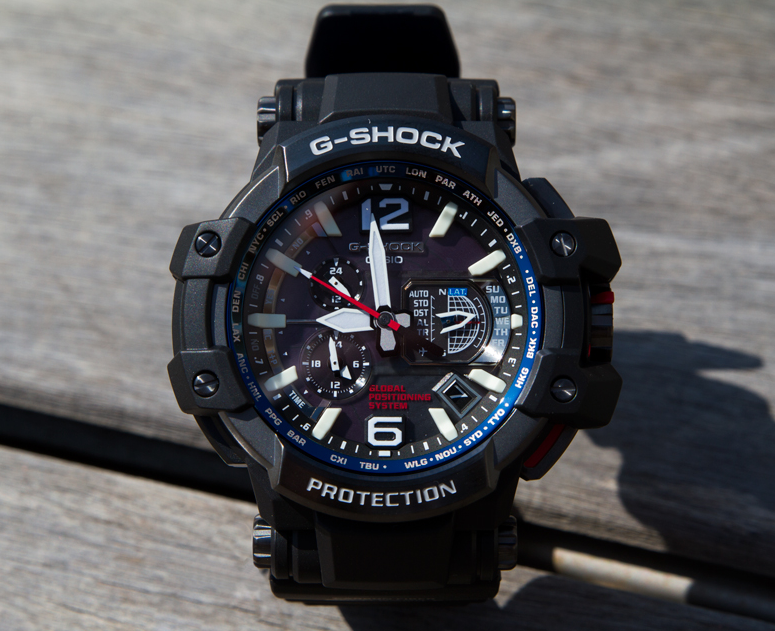 That is why the G-Shock „Master of G” or Rangeman is the perfect pick for any military, outdoors or survival enthusiast. Do you find yourself in these categories? If yes, then read on. 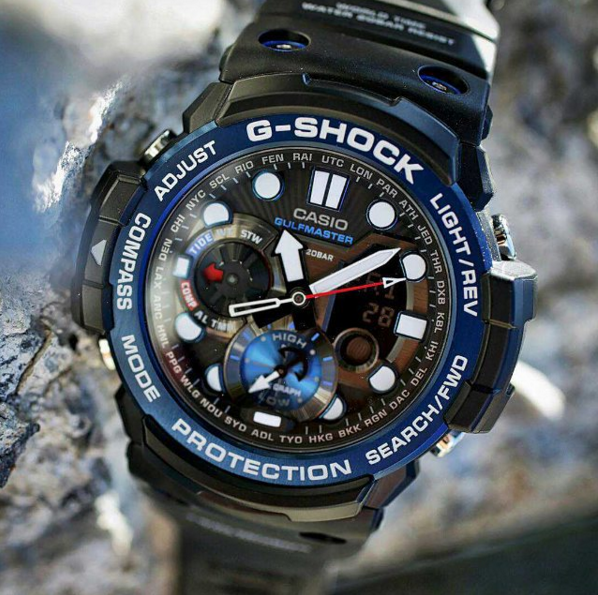 This is the first G-Shock model to be equipped with the famous triple sensor which encapsulates an Altimeter, Thermometer, and Barometer along with a Compass. 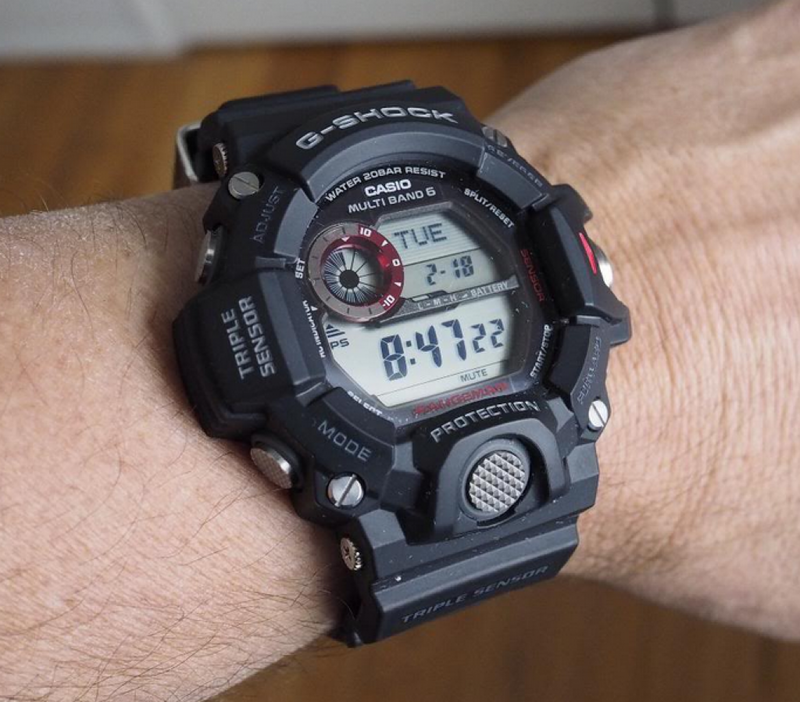 Casio seemed to score from the first hit with the Rangeman since there are no glitches or malfunctions on any of the sensors. This is why it was called by many a first time hit; few other companies managed to create a perfectly functioning feature like this right off the first model. 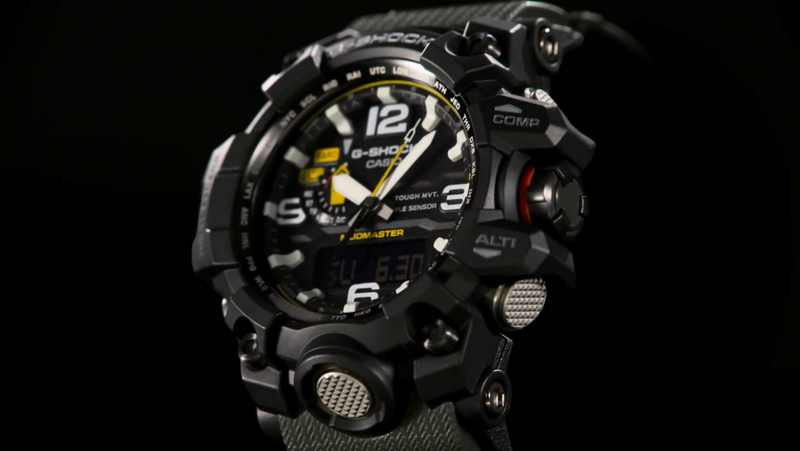 The „Master of G”/Rangeman G-Shock is said to stand for the „Triple 10” concept, which means a combo of 10-meter free fall resistance, 10-year battery life, and 200-meter water resistance. At 53.5 mm X 18 mm thick or (2.10 X 0.7 inches) it is quite big on any wrist size but it wears very well and is very comfortable at only 0.20 lb (93g). 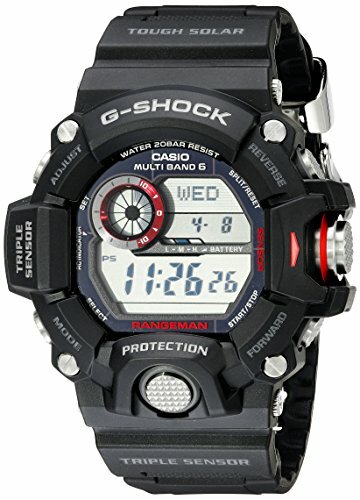 Speaking of design it has a very attractive look and it fits great on the hand. 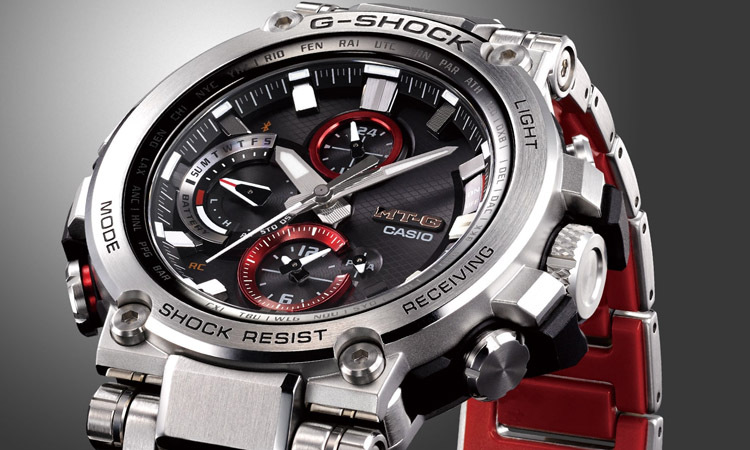 The band and case are made from high-quality black resin with red and gray accents, a resistant type of plastic that Casio uses very often on G-Shocks. 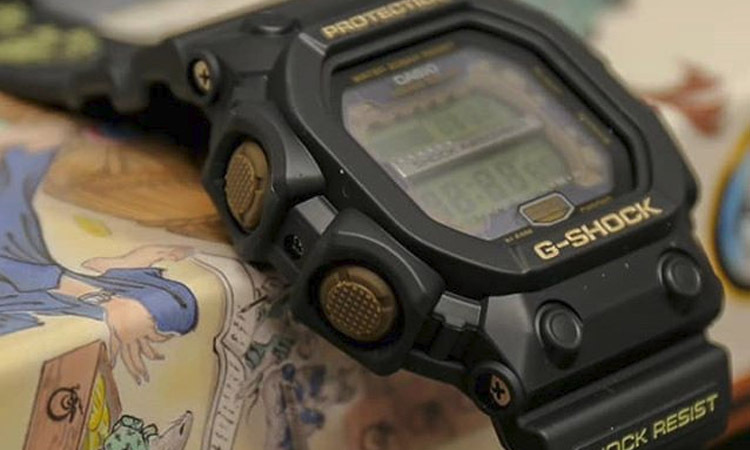 The mineral crystal window is very protective and generally speaking, it would take another crystal or diamond material in order to scratch it. 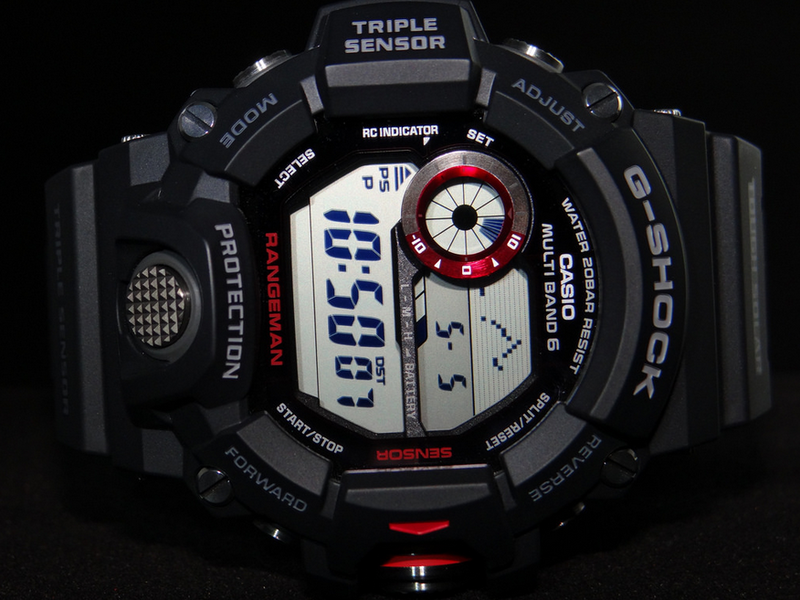 The display is fully digital featuring a bright LED backlight that automatically lights up when in dark environments. Now the icing on the cake. 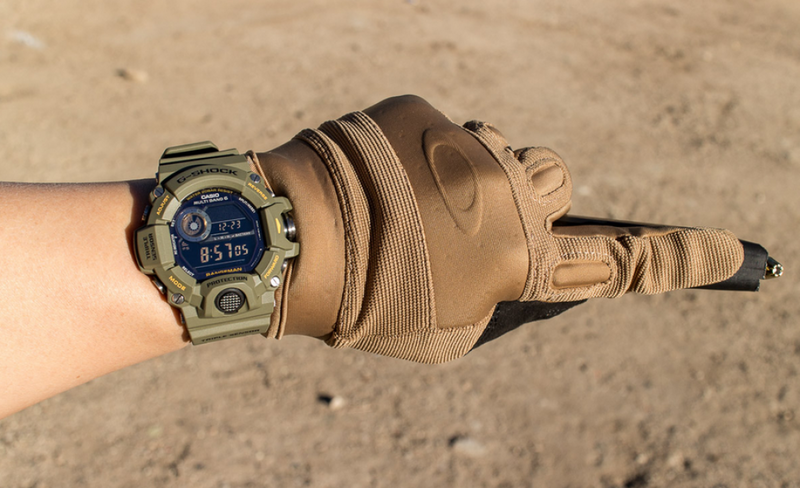 I’ll explain the triple sensor and compass feature in greater detail since they are such an important part of the Rangeman. 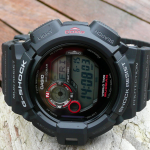 The altimeter is an altitude measuring sensor and obviously will tell you the altitude you’re at defined by the sea level standard. 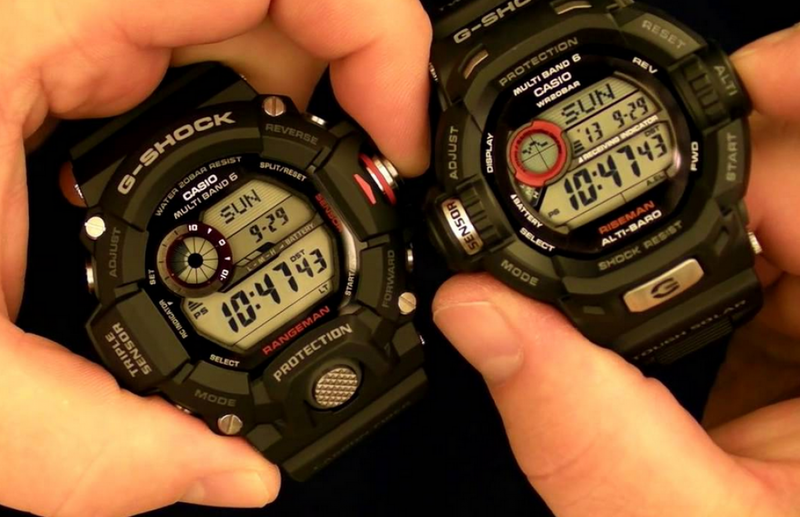 You will actually have to set the altitude reference yourself but once you do it you will have a reliable altimeter at the wrist of your hand available at any time. This feature can be indispensable to professional hunters for example which have to know the altitude in order to correlate it with where certain types of plants live without having to specifically look after them, and then match this information with where certain types of animals live or come after food. This is an incredibly powerful tool if you know how to use it. It can also replace the need of a GPS. The barometer is an atmospheric pressure measurement tool that can help you become a weather wiz. 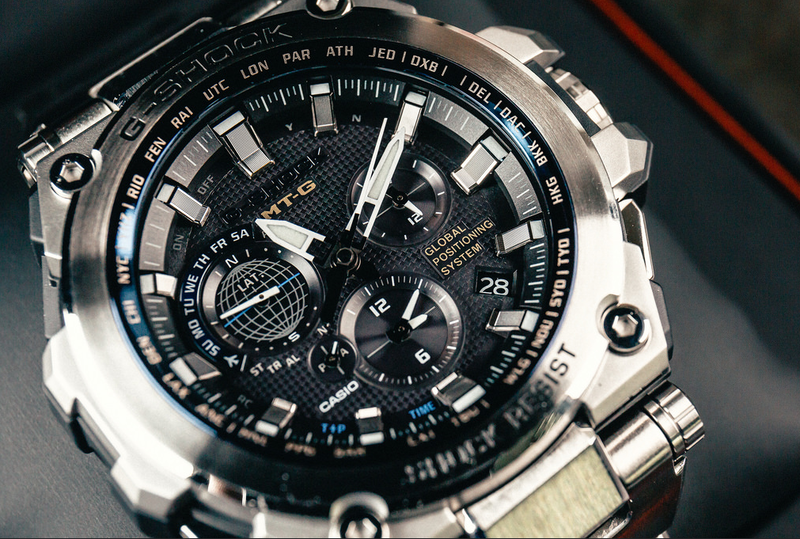 You can predict the weather by interpreting the barometric pressure shown on the display. If you see a fall in pressure you can expect for rainy weather or storms and if the pressure keeps high, then sunny weather is on the way. The thermometer shows accurate readings of the temperature and the compass indicates north as well as the bearing objective. 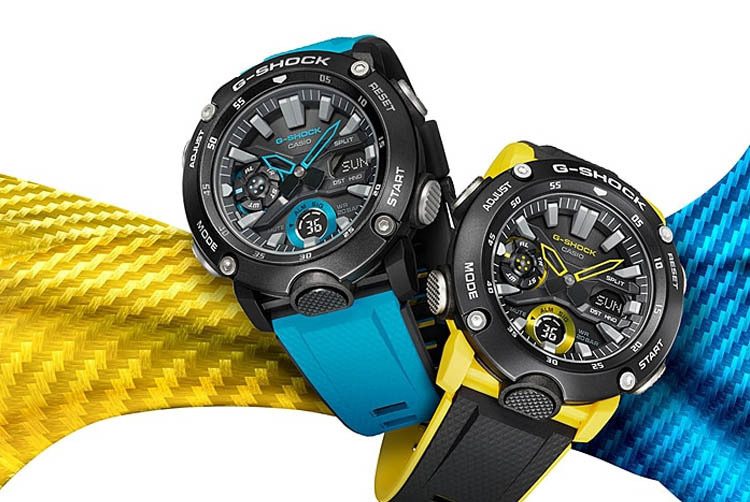 The triple sensor is very easy to use by pushing the middle right button; the first beep will indicate the altimeter mode that will display from -2300 ft up to 32800 ft, two beeps will be for the compass and three beeps will action the barometer and thermometer combined. Also, the measurement can be switched from metric to imperial mode at any time. 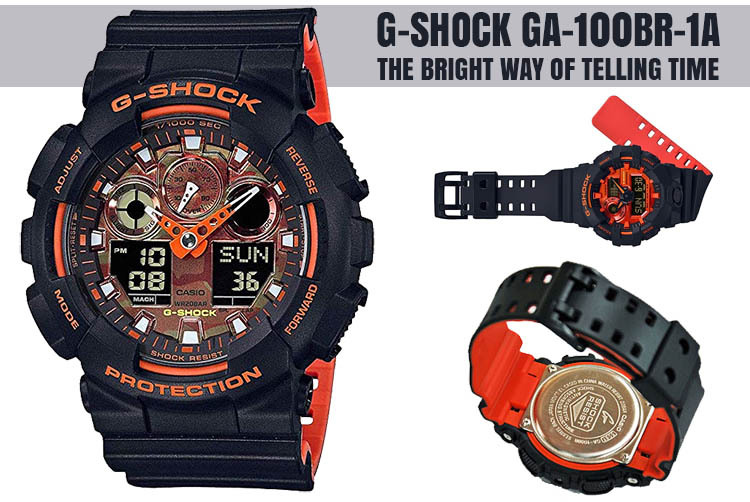 For a reasonable price, you get a great watch that can withstand all of the things implied by an active life. 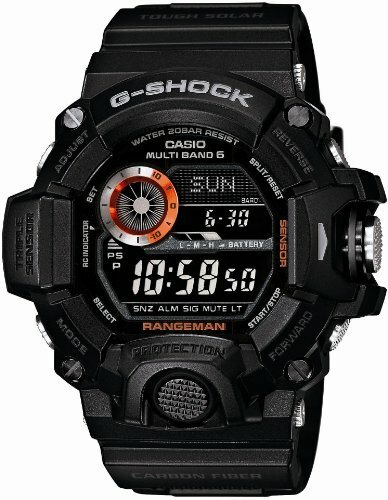 This is the type of watch that I definitely recommend to anyone seeking for the best. 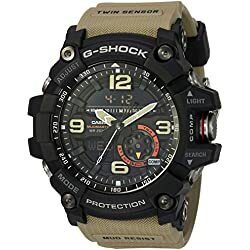 Also considering that it is rated with some of the best reviews among all G-Shocks this can be an indicator of how pleasing this watch was for everyone who bought it. Check it out! You will not be disappointed.